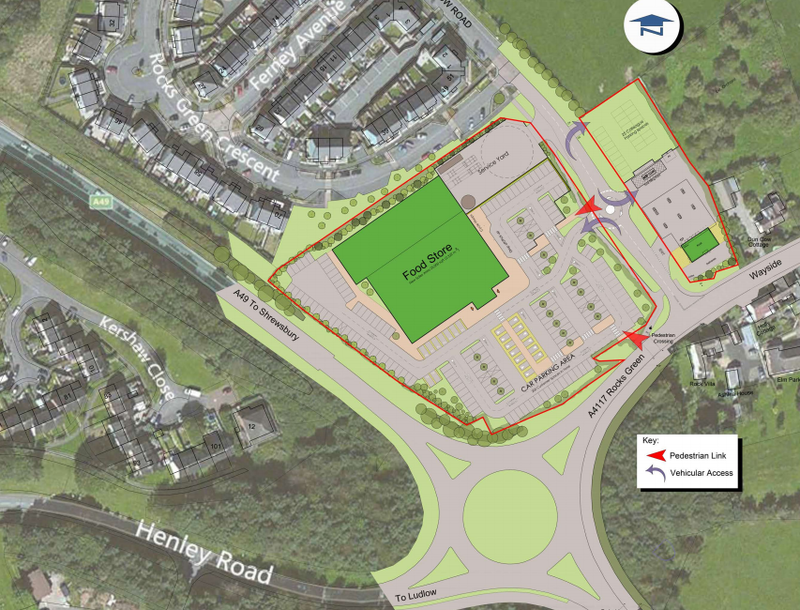 With thanks for Simon Hoare of Community Connect, I am now able to post the outline plans for the proposed supermarket and petrol station. These are the plans that were on show at the exhibition at the Rockspring Centre earlier in the month. There is no doubt this supermarket is controversial. As a member of the South Planning Committee, I will not be taking a view on the proposals until they are presented to the committee. But, as always, I am keen to hear your views. Why not post them in the comments box below? 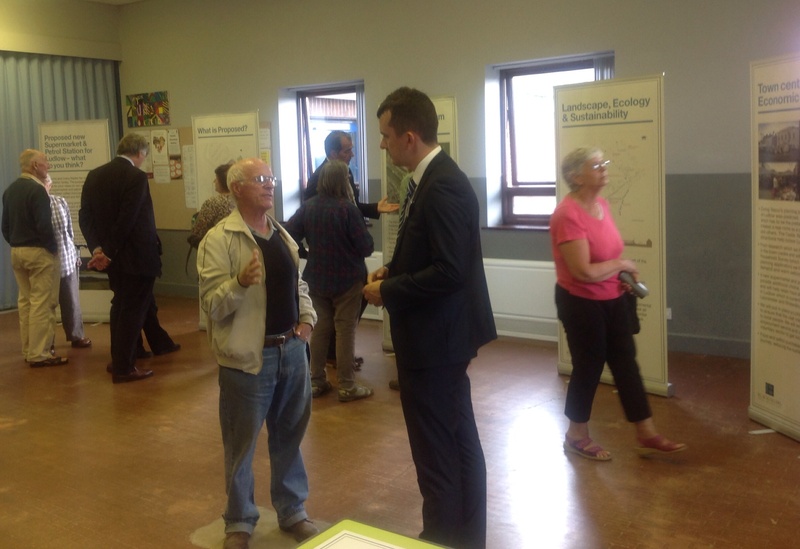 A steady stream of people today attended the exhibition on the proposal for a supermarket at Rocks Green. Community Connect will be repeating the performance tomorrow from 10 until 3pm. The exhibition is at the Rocks Green Community Centre. A date for your diary. Community Connect, which is fronting proposals for an out-of-town supermarket at Rocks Green, Ludlow, is holding a drop-in session and exhibition on 4 July and 5 July at the Rockspring Community Centre. Our client, Blackfriars Developments Ltd, is working on a planning proposal that would see a new supermarket and petrol station developed on land commonly called Dun Cow at Rocks Green, Ludlow off the A49. The store would create in the region of 250 new local jobs, increase choice and competition for local people and strengthen Ludlow’s role as a retail destination. We believe that there are significant benefits to the local economy as a result of this proposal. Before a planning application is submitted to Shropshire Council we want to discuss the proposal with local stakeholders and the community. To that end. we are holding a pre-submission planning consultation to set out the plans and answer your questions. Where? : Rockspring Community Centre (Main Hall), Sandford Road, Ludlow, SY8 1SX. Members of the development team will be on hand to discuss the proposal with you. It is a very informal event so please feel free to visit whenever you can.